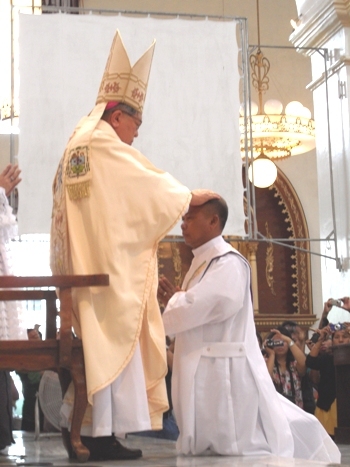 July 14, 2012 – The Philippine Quasi Province of the Rogationist of the Heart of Jesus was blessed with the Priestly Ordination of Rev. Ricardo Vasquez Caperiña, rcj. 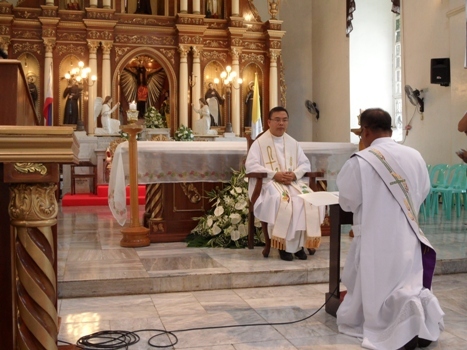 He was ordained at the Parish of St. Francis of Assisi in Sariaya, Quezon at 10:00 AM. The Ordaining Prelate was His Excellency Most Reverend Emilio Marquez. 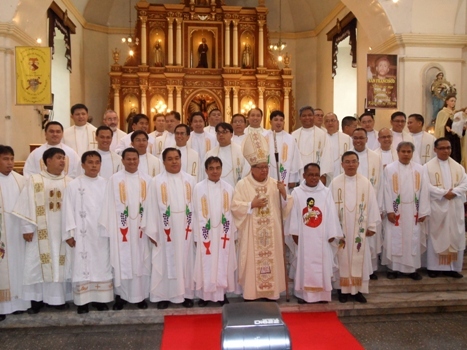 D.D, Bishop of Lucena. More than 30 priests from the diocese of Lucena and from the Rogationist communities came to participate.Fr. Ricky was a fruit of late vocation. He entered the Rogationist at the age of 50 after 25 years of teaching profession where he also served as Principal for some years. He is currently assigned in St. Catherine of Sienna Parish, Villanueva, Bautista, Pangasinan together with Fr, Niptale Forgosa and Bro. Menard Cadeliña.